On this Motzoei Yom Tov, as we bid farewell to the beautiful chag that ended tonight, we’d like to wish all of our readers ah gutten vinter. 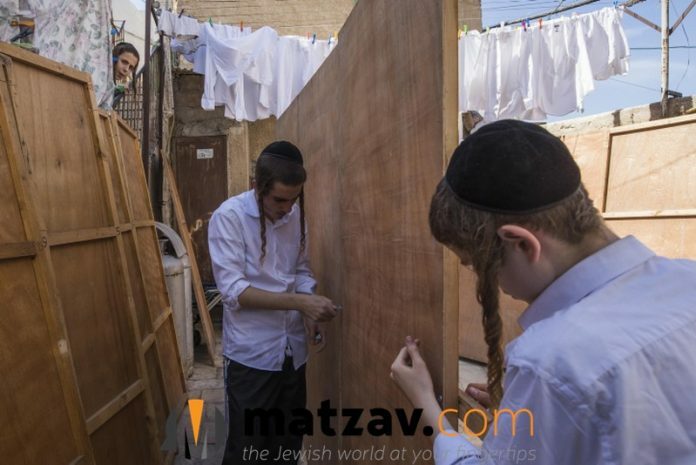 As you take down your sukkahs tonight and resume your regular routine, try to hold on to the warmth and inspiration of the Zeman Simchaseinu and Simchas Torah as you head into the long days of winter. The winter is representative of the lengthy golus in which we find ourselves, and just as we try to hold on to the warmth of summer as we endure the dark days of winter, we likewise try to hold on to the uplifting moments of our lives to help us get through this long and bitter exile. We pray that all of Klal Yisroel merit only bracha and yeshuos during this season, and may we be zoche to greet Moshiach, bimeheirah beyomeinu, speedily, in our day. When the weather forecast in NYC is for temperatures around eighty degrees in the next few days? Winter will be in around three months. There is a season between summer and winter called autumn, or fall. Perhaps you have heard of it? In Yiddish it is called הארבסט. You say “A Gezunten Vinter”.